Canon just announced the anticipated Rebel T7i and Rebel 77D DSLR cameras. The T7i is the next generation of the T6i and the 77D replaces the T6s. The 77D is a new naming schema for the T6s, helping to differentiate it from it’s lower specified sibling. Both cameras also adds an improved autofocus system, placing them closer to the 80D in terms of features. In addition, the EOS 77D also adds a secondary command wheel and a small Top LCD with basic shooting information. I will be updating the camera database and adding in-depth comparisons between these cameras and the cameras they replace over the next few days. Both cameras feature the impressive dual-pixel 24 megapixel CMOS sensor that makes focusing in live view and during video very smooth and fast. Both cameras also gain a 45-point (all cross type) auto focus sensor that is sensitive down to -3ev (with an f/2.8 or faster lens). The key differences between the new T7i and the 77D is the 77D adds a top LCD screen, dual command wheels, dedicated AF-On button, and an interval timer for doing time lapse photos. Nikon D750 Body only for $1,592.28 from Amazon.com! UPDATE: It looks like this deal didn’t last long. The price was back to the same as everyone else within a few hours. Could this have been a quick deal to move extra cameras in an effort to reduce inventory before a replacement is announced? More than likely it was an error and Amazon corrected is in short order. It will be interesting to see how long this deal lasts. Nikon is very strict about their MAP (minimum advertised price) policy. If you have thought about grabbing a Nikon D750, this is your chance to get yours at a great savings! 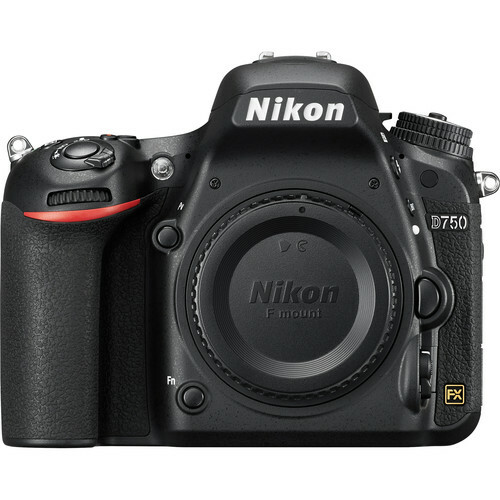 Be sure to check out my Nikon D750 Review Page.